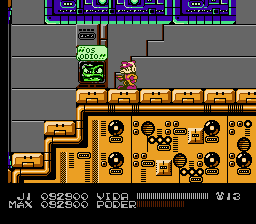 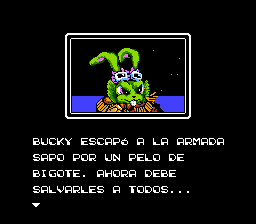 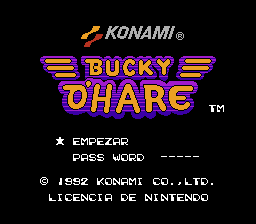 Translation to Spanish of all game dialog and the status bar for “Bucky O’Hare” for the Nintendo Entertainment System. 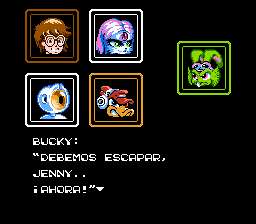 V1.1: Script revision and addition of special characters. 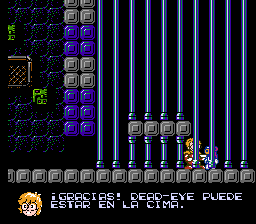 V1.2: Fixed text when rescuing the duck.